Do you prefer bringing your own food to movie theaters? If so, you'll want to see the marketing stunt this fast food restaurant recently pulled. Read on for more on this story as well as others below, in this week's Inbound Marketing Highlights. 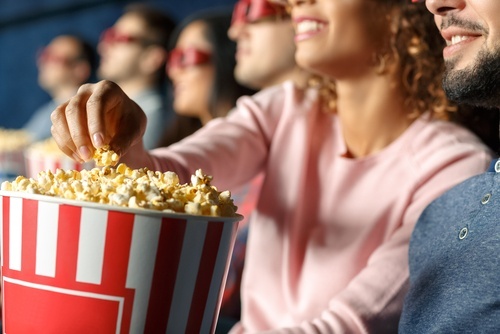 Movie theater attendees are often faced with an internal conflict: should you sneak in your own snacks or pay ridiculous marked up prices once you get there? Well, Burger King is trying to help movie goers find a compromise in their new hilarious stunt. In order to get their world famous whopper into movie theaters, Burger King found a creative work around: the "King Popcorn." The King Popcorn is what it sounds like, a bucket of popcorn. However, what makes it different is that is has a secret compartment for a whopper and fries inside. The menu addition was a hit! People inside a Peruvian mall were going to Burger King for their bucket and then taking it to the movie theater next door. The stunt even resulted in a sales increase of 40%. But once the movie theaters figured out what Burger King was up to, the bucket sadly became banned. More on this story here. Snapchat just released a second generation of their Spectacles camera glasses. The hope is that these improvements and additional features will deliver better results than the first version. The Spectacles camera is hands-free and has added the ability to capture photos or videos, and then transfer it via WiFi. The glasses are also water-resistant with a sleeker frame and with more style and color options. The Spectacles now cost $149.99 with the charging case and cable. The original version of the glasses was released back in September 2016, back when the company moved to identifying itself as a camera company rather than messaging app. The first-generation glasses were not a success, however, the water resistant feature in the new release expected to help sales. In a powerful new marketing move, Volkswagen is warning the public about the dangers of distracted driving, particularly phone distractions. According to the ad, you’re 23 times more likely to be in an accident if you text while driving. In order to remind the public of this statistic, they have made “Crash Cases," or limited edition phone cases made out of crashed cars. “We believe a phone case made by damaged vehicles will make you think twice before you pick up your phone. It will be a silent reminder to keep focus on the road and not multitask whilst driving.”- Johan Karlson, brand manager at Volkswagen Stockholm. Proceeds from the phone cases will be used to help cover rehabilitation costs incurred by car accident victims. Ford Motor is making some surprising moves to increase profitability. Most notably, they will stop making the Focus, Fusion, as well as other sedans in North America.They are also expected to reduce marketing, sales, and well as engineering costs by $11.5 billion these next 3 years. This in all in hopes that they achieve a global profit margin of 8% by 2020, two years earlier than previously expected. In recent trends, Americans have been abandoning sedans and instead choosing trucks or S.U.V.s. Within a few years, Ford will offer only two cars in the United States: the Mustang sports car and a new Focus variant with the shape of an S.U.V., according to Ford executives. Ford is planning to introduce several new trucks and S.U.V.s over the next three years, which will be available as both gasoline- and battery-powered versions. As telemarketers and spammers get more and more annoying by the day, businesses are continuing to shift their focus to the inbound marketing methodology. And what platform is better to help with this transition than HubSpot? In this interview, two stock exchange experts sit down and discuss the indisputable value HubSpot has over other competitors. In the end, they agree both HubSpot and Inbound are here to stay. Watch the full interview here.